Orange Marmalade Recipe - microwave method for homemade orange marmalade. 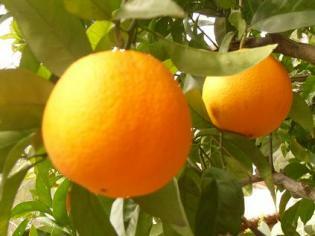 How to make orange marmalade quickly and simply ! 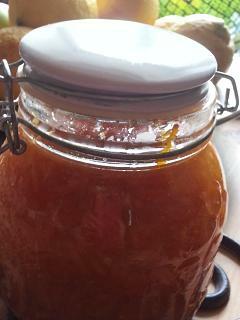 Homemade Orange Marmalade.....how to make orange marmalade,quickly and simply using the microwave. This time of year ...February here in Greece there are trees laden with oranges,lemons and kumquats....this richly scented,zesty bounty is gathered in and preserved in all manner of marmalades, chutneys and pickles...this recipe is so easy,quick and simple and utterly delicious ! 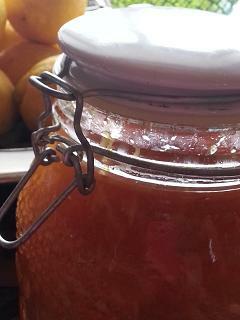 Homemade orange marmalade should not be confined just to the breakfast table with toast or over Greek yoghurt...try it with cold meats,cheese and biscuits,with chicken, pork or prawns or on roasted veggies or goats cheese....in fact anywhere where you would like a little citrus tang ! Please note that as everyone's oranges and lemons all differ what you are actually aiming for is the same proportion of prepared fruit to sugar.....that is if you have 4 cups of prepared fruit then use 4 cups of granulated sugar....simple ! Jars (sterilized) or pour and store bags for the freezer if popping into the freezer to store....again the amount can vary a little but a least a liters worth of marmalade should be expected ! Wash the fruit,then take all the outer peel off, taking care just to remove just peel and not pith as the pith will make it taste overly bitter...pop the peel into a microwaveable dish. Next, take the outer pith off the fruit, chop up all the fruit into small pieces, taking care to conserve as much of the juice as possible...this is messy ! Place the chopped fruit into the bowl with the peel... now add an equal amount of granulated sugar...mix it all up. Place the uncovered bowl into the microwave...cook on high for 24 minutes...removing the bowl at 3 minute intervals to stir well and ensure all the sugar has dissolved. Ladle your jewel-like homemade orange marmalade into your jars or storage bags when it has cooled a little...put little waxed discs onto the top of the jars to seal or if you've none available, simply turn the jars upside down for 10 minutes to seal. That's it ! Jars of homemade orange marmalade make great gifts so be sure to keep a jar or two aside to share with family and friends !